We’d love your help. 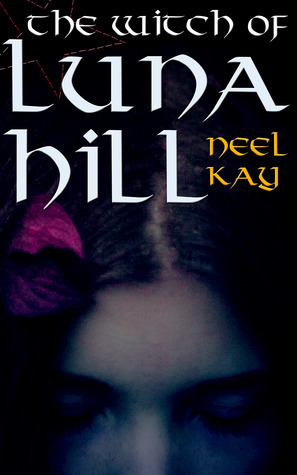 Let us know what’s wrong with this preview of The Witch of Luna Hill by Neel Kay. A year ago, Aia was found dead in a lake. Fortunately, her rescuer managed to resuscitate her. But how she ended up in the water in the first place, she doesn’t remember. Actually, she doesn’t remember one single thing about her old life from before she died. Now she lives her monotone life by the edge of the Great Forest in which she works hard day in and day out. Up there A year ago, Aia was found dead in a lake. Fortunately, her rescuer managed to resuscitate her. But how she ended up in the water in the first place, she doesn’t remember. Actually, she doesn’t remember one single thing about her old life from before she died. Now she lives her monotone life by the edge of the Great Forest in which she works hard day in and day out. Up there in Northland beyond the mountains, the war against supernatural beings, humans with strange abilities and all who side with them isn’t quite as visible as in the rest of Bragimark. But when she meets Merian Storm, a privileged student trying to escape her dysfunctional family and the memory of the man she loved, Aia is jerked out of her comfort zone and thrown into a journey across the haunted mountains in search of her past. To ask other readers questions about The Witch of Luna Hill, please sign up. I'm back with another paranormal novel to share with you. While it is stated as paranormal, I like to think of it more as fantasy. I know they fall under mostly the same category, but something makes me feel better about it when I can say fantasy instead. (I'm weird, I know. Like I already said though, I can't help but think of Twilight when I hear paranormal, and that's not always the best thing!). While fantasy still is not my favorite genre, and I am not sure that I could read it all of the t I'm back with another paranormal novel to share with you. While it is stated as paranormal, I like to think of it more as fantasy. I know they fall under mostly the same category, but something makes me feel better about it when I can say fantasy instead. (I'm weird, I know. Like I already said though, I can't help but think of Twilight when I hear paranormal, and that's not always the best thing!). While fantasy still is not my favorite genre, and I am not sure that I could read it all of the time, I did really enjoy this book. Kay did a great job of creating strong female characters, a believable world, and relationships that seemed incredibly realistic. Going into this book, I did know that it was the first part of a series. I like to look up information on Goodreads if it is a book that I do not know much about. I have been reading a lot of indie authors lately, so I like to look up information on them as well. (I can't stress how great it is to read indie author's books, they are incredible. You should pick them up if you're currently not into reading any!). I believe that I went into the book a littler differently than I may have otherwise because I knew that it was a series. I knew I probably would not get all of the information in the first book, and I was perfectly okay with that. I really did enjoy the beginning of this story. It was interesting to meet Aia, a girl who had supposedly died in a lake but was brought back to life by a stranger. Unfortunately, she did not remember anything about her life before the accident occurred, and she is left to rebuild everything that she knows. That left me feeling for the character, as I think that anyone would in that situation. Kay through in so much action and twists and turns that I did not want to put the book down, and that is a very good sign for me. Of course, the book was not perfect, though we would be hard pressed to find one that is. The language was a bit rough at some points, and I feel like there were some places in the story that could have been more detailed or written more clearly. Overall, I really did enjoy this book though, and I look forward to continuing the series to see what happens to the characters next. There are two things I love to find in fiction. Strong female characters and believable romance. Neel Kay's THE WITCH OF LUNA HILL delivers plenty of both. Merian has a problem. It's bad enough that she's lost her father and the boy she loves in the war that is tearing her country apart, but now her once beloved brother has joined the other side. The last thing she wants to do is spend her school break at home where he's the new Sheriff of Witch's Nose and her neurotic mother is waiting to turn h There are two things I love to find in fiction. Strong female characters and believable romance. Neel Kay's THE WITCH OF LUNA HILL delivers plenty of both. Merian has a problem. It's bad enough that she's lost her father and the boy she loves in the war that is tearing her country apart, but now her once beloved brother has joined the other side. The last thing she wants to do is spend her school break at home where he's the new Sheriff of Witch's Nose and her neurotic mother is waiting to turn her into a proper young lady. So Merian convinces the college's heartthrob to take her home with him--just as friends. Perfect solution, right? What Merian doesn't know is that the heartthrob's uncle is a science genius and he's created a weapon that just might turn the tide of the war. The other side will do anything to stop it from falling into the hands of the resistance movement. Almost the moment she arrives, Merian's low key vacation is shattered and she finds herself on a mission that will shape her destiny and that of her entire world. Kay does a great job of creating a complex but entertaining fantasy with plenty of unexpected twists. Her characters are generally engaging and well rounded, though I found the bad guy of this first book a little too easy to get rid of in the end. What made that work was that his demise leads to the revelation of a villain a lot more wicked than he was. I took a star away for two reasons. First, I thought the writing could have been tighter in places and the editing a bit more thorough. Second, I didn't find out that this book was the start of a series until I reached the last page. There I was dying to see what happened next and what did I find? TO BE CONTINUED. Truly, I could have strangled Ms. Kay. It's great that she built such suspense, but it isn't fair to the reader not to let them know ahead of time that this is just the start of something bigger. As I read this book, I found myself transported into the pages and inserted right into the scenery. That right there is easily the best hook in keeping me reading and all the twists and turns throughout kept me glued to what was going to happen next. As the characters breathed, I was right there with them breathing along with my he I would like to thank the author for providing me with a complimentary copy of this book in exchange for an honest review. Doing so does not sway my review in any way. As I read this book, I found myself transported into the pages and inserted right into the scenery. That right there is easily the best hook in keeping me reading and all the twists and turns throughout kept me glued to what was going to happen next. As the characters breathed, I was right there with them breathing along with my heart beating in anticipation and sometimes in fear. A great read that is filled with secrets and twists and turns and along with it a romance that blossoms. This will entice a great audience of readers and will have them ready for the next book in the series. The greater your audience, the greater risk an author takes and Neel Kay rose to the challenge and conquered. Not only does she do that well, but the female characters that she created have the strength and perseverance one wants in their reading. That being said, I did have a few issues with the book. There are times that there is so much going on in the story that some things seem a bit jumbled and I had to reread areas a couple times because of this. There is also, at times, lack of details that disrupt the sensory perception of the story itself which in turn takes away from the flow of the story. There were also some details in the book that felt a bit over the line and could have been done differently with the same outcome. Two girls, completely different have been brought together to help their war-torn region. Aia, who can not remember anything from more than a year ago, not even her real name, has been given a powerful weapon that might help end the war. But what secrets does her locked memory hold? Merian is a rough and tumble social outcast at her school who begged a friend, Birk, to spend the summer at his uncle's house in Thunder Rock rather than face her saddened mother. Merian's mother takes her frustratio Two girls, completely different have been brought together to help their war-torn region. Aia, who can not remember anything from more than a year ago, not even her real name, has been given a powerful weapon that might help end the war. But what secrets does her locked memory hold? Merian is a rough and tumble social outcast at her school who begged a friend, Birk, to spend the summer at his uncle's house in Thunder Rock rather than face her saddened mother. Merian's mother takes her frustration out on Merian ever since Merian's brother, Lyder joined the opposing forces, the greys. This fantasy had me completely absorbed! A fast-paced and exciting adventure that kept me interested throughout the whole story. The suspense and mysteries of Aia's past were intriguing. I enjoyed that there were two powerful female points of view. Although Merian is figuring out a rough family life and Aia does not know her past, both women have a strong sense of self and throughout the novel, develop even more. There is a romance component to this story, it didn't bother me but the fantasy and adventure can stand by itself. I loved the world of Bragimark and the magic within, the world-building was beautifully done and I could picture the forests, mountains and cliffs that Merian and Aia's perilous adventures took place on. The ending was absolutely riveting, and very twisty. The cliff-hanger, to-be-continued ending left me wanting to read the next installment right away. I woke up very early this morning and one of the first things I did was start reading this book from where I left off late last night. Always a good sign! The Witch of Luna Hill is billed as a fantasy/romance novel which, to me, doesn't really do it justice because it's actually a crackingly good fantasy novel which would stand on its own as just that. Although I feel this book is for the older teenage market, I really enjoyed it as a forty something woman and I will definitely be buying the seco I woke up very early this morning and one of the first things I did was start reading this book from where I left off late last night. Always a good sign! The Witch of Luna Hill is billed as a fantasy/romance novel which, to me, doesn't really do it justice because it's actually a crackingly good fantasy novel which would stand on its own as just that. Although I feel this book is for the older teenage market, I really enjoyed it as a forty something woman and I will definitely be buying the second of this two book series when it is published. The story centres around Aia, a young woman who was attacked and almost killed but was resuscitated by the villager who found her. She suffers amnesia and, taking a name given to her by those who found her, she begins a new life. She has nightmares, which she assumes are flashbacks of her past, but she can't bring them to focus. A chance meeting with Merian, the sister of the feared Lyder, takes her home to a people who expect her to save them all. The Witch of Luna Hill was a bit of a cocktail of romance and fantasy and had very believable elements of both woven together with a nice plot. It had a strong female protagonist, which is rare in upper YA fiction. From a writer’s perspective, although strong, Merian could be very annoying at times, none more so than in the opening chapter – a very dangerous thing for an author to do, as a less open minded reader might cut the story then and there. She was confusing and rather bitchy, and it took The Witch of Luna Hill was a bit of a cocktail of romance and fantasy and had very believable elements of both woven together with a nice plot. It had a strong female protagonist, which is rare in upper YA fiction. From a writer’s perspective, although strong, Merian could be very annoying at times, none more so than in the opening chapter – a very dangerous thing for an author to do, as a less open minded reader might cut the story then and there. She was confusing and rather bitchy, and it took me a while to start to feel for her and her situation. I found the dialogue a little jumpy and characters slipped in and out of the plot with little information attached to them. Perhaps parts had been edited out that really should have remained? At first I wasn't impressed by the story. The dialogue seemed off, and I wasn't sure about the characters - especially Merian. She was hard to understand at first. Seemed a little one-dimensional for a while. Despite that, I decided to keep reading. Mostly because of Aia, her story helped keep me interested. There are editing issues - another thing about this story that made it hard for me to get into it. Some parts I was given a copy of this book from the author in exchange for an honest review. There are editing issues - another thing about this story that made it hard for me to get into it. Some parts felt like there were things missing, which would make it hard for me to get into it because I was trying to figure out what was going on. I did really enjoy the romance of this story, especially how it didn't distract from everything else going on. It made it feel more realistic. All and all, I did really enjoy the story and I would be interested in reading more. I recommend it to people who enjoy YA fantasy. This book had so much potential to be an exciting, epic adventure, but it just didn’t live up to my expectations. I really wanted to enjoy this book more, I just felt so disconnected from the story, and I had a hard time picturing the setting and time period. I did enjoy getting to know the characters and the mystery that was Aia's life, and there were a few twists and turns that kept me reading but I just wanted more. I wanted to be sucked into the story and to feel like I was on the journey wit This book had so much potential to be an exciting, epic adventure, but it just didn’t live up to my expectations. I really wanted to enjoy this book more, I just felt so disconnected from the story, and I had a hard time picturing the setting and time period. I loved the mysterious story of witches and other supernaturals. And I am eager to find out more about who Aia really is. Can't wait to the sequel. Danish (not the pastry) author writing in English. Mother of two, wife (of one), reader of many. Luurve coffee, sea views, rock music and scarves.